What are Some of the Most Common Orthodontic Problems? Orthodontics is a branch of dentistry that involves the diagnoses, prevention and treatment of teeth and face irregularities. These problems can result in tooth damage and difficulties with cleaning your teeth, biting and/or chewing food. Here’s a look at some of the most common orthodontic problems. An over-jet is when the upper teeth that stick out too far, it is often incorrectly referred to as an overbite. An increased over-jet has been shown to be the biggest risk factor for trauma to front teeth. Both the ability and aesthetics of your smile can be affected by an overbite. An overbite occurs when your upper teeth excessively cover your lower teeth. An overbite risks wearing down teeth and causing the lower teeth to bite right into the roof of your mouth. If your lower jaw seems to extend beyond the upper jaw, so forcing your bottom teeth to sit in front of the upper teeth, this is an underbite. An underbite commonly occurs when your lower jaw outgrows your upper jaw. If your teeth don’t have enough space in the mouth, they become crooked and crowded. A specialist orthodontist can help create room for the teeth to sit comfortably by expanding your jaw. A cross-bite refers to upper teeth that sit on the inside of the lower teeth. This problem is best treated early so that the jaws are able to grow in the right direction, prevent excessive wear of the teeth and space for all the adult teeth to come through. An abnormal eruption occurs when a tooth comes through the gum in the incorrect place. If that tooth is not able to grow in fully, you may want to consider a minor oral surgery to uncover the tooth prior to the start of orthodontic treatment. If you have gaps between your teeth, you may not be too confident about your smile. Missing teeth, small teeth, a wider than normal dental arch or other issues can result in spacing problems. Too much space can result when one or more of your teeth fail to grow in, are lost to disease or trauma, or there is a discrepancy between tooth size and jaw size. You should have the gaps closed because too much space allows the surrounding teeth to shift out of position. 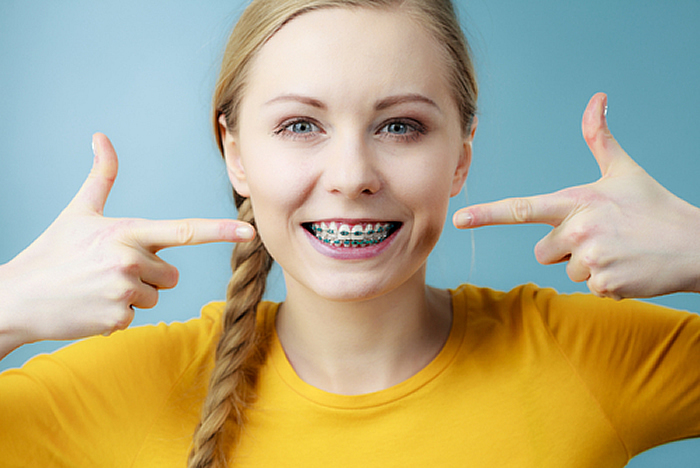 If you think you, or your child may be suffering from any of these common orthodontic problems, make an appointment with Medland Orthodontics in Brisbane or the Gold Coast to discuss your treatment options today. Do you need orthodontic help? Child, Teenager, Adult? We have solutions for all ages. Medland Orthodontics can help, we offer Suresmile, Clear Aligners, Lingual Braces, Ceramic Braces and more. Leave your details and we will be in touch. Victoria is a Treatment Co-ordinator and Orthodontic Dental Assistant here at Medland Orthodontics and has been a valued member of the team for over 8 years. Her passion for creating beautiful smiles is evident both in her warm presence and meticulous approach. With more than a decade in orthodontic experience, Victoria is a skilful orthodontic professional. Victoria is very family orientated and her kind and caring nature is reflected in the way she communicates with our patients and their loved ones. Victoria will always provide you with an exceptional and comfortable experience when visiting Medland Orthodontics. When she is not helping patients Victoria spends time with her husband and two young daughters.